the bead made with the proper current and gas flow. 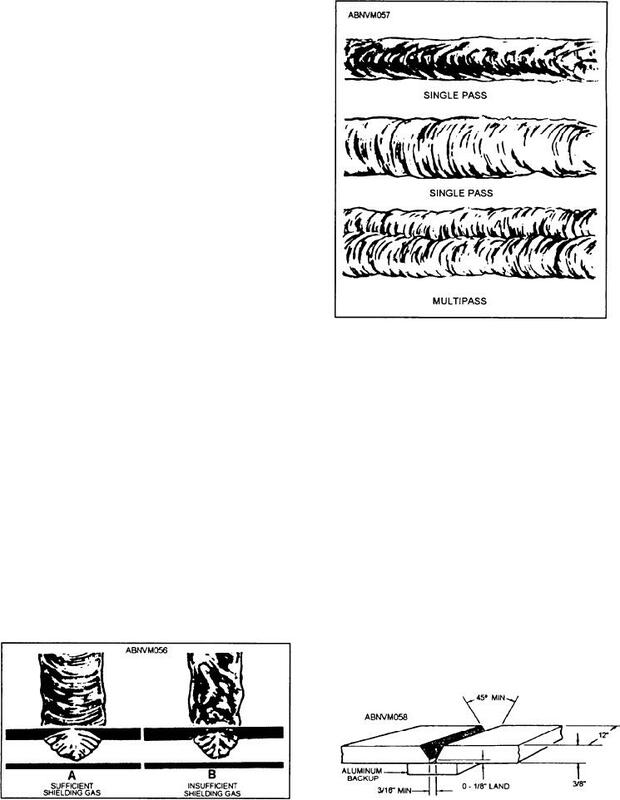 thicknesses of plate are shown in table 10-9.
make a weld that will pass visual inspection. current of 230 to 300 amperes.